In a perverse sort of sense, documentarians play a very similar role to that of an investigative journalist. They sense a story, pursue it endlessly, albeit with the permission of their subject and eventually bring that unreported story to the masses. It’s an important vocation imbued with passion and dedication; and yet while the aim of the documentarian is invariably didactic, his or her work is more often than not rip-roaringly entertaining. 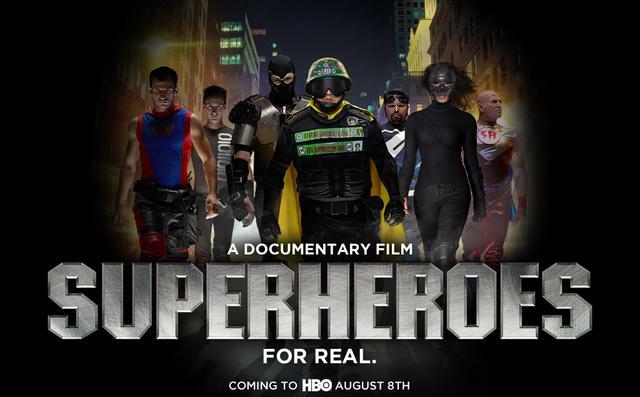 Mike Barnett’s “Superheroes” is a fascinating example of a genre pic that manages to effortlessly suffuse entertainment with unbridled insight into a little known subject: that of the real-life superhero. Barnett’s picture examines this intriguing and burgeoning phenomenon without ever imparting judgment on these eclectic do-gooders — instead choosing to understand the motivation behind the mask. Mr. Xtreme, founder and sole member of the Xtreme Justice League, lives a lonely, somewhat farcical fantasy existence — even calling his bedraggled home the Xtreme Cave. Yet he takes his calling as an urban warrior incredibly seriously, exercising in a bid to shed the excess pounds and patrolling his San Diego neighborhood virtually every night. Much like many of the superheroes on display here, Mr. Xtreme is driven by an overwhelming sense of injustice and a desire to right the wrongs in the world. They passionately believe that they are doing valuable community service, with some viewing the government and police as ineffective and morally corrupt. As it transpires, many — particularly in the gloomily named Black Monday Society — have experienced difficult pasts and are in essence making up for previous misdemeanors (drugs, alcohol, violent crime) by helping people in need. Yet the Brooklyn-based New York Initiative also blurs the lines between community service and vigilantism, setting up “bait patrols” to catch criminals in the act, something that is considered borderline entrapment. The police and comic-book legend Stan Lee provide dissenting voices, expressing concern that they are putting themselves and the public at risk and acting outside of the law; yet it’s a psychologist’s view that these superheroes are literally acting out the alter egos that the rest of us hide that is most telling.